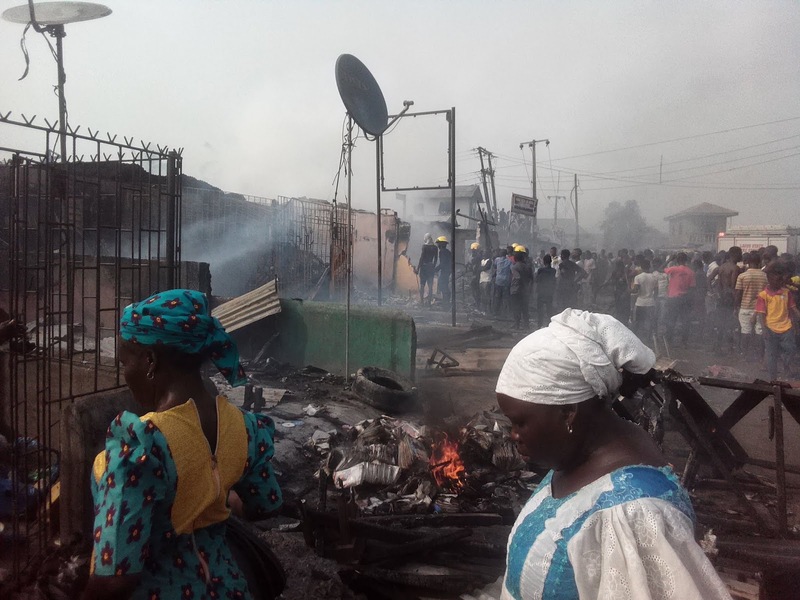 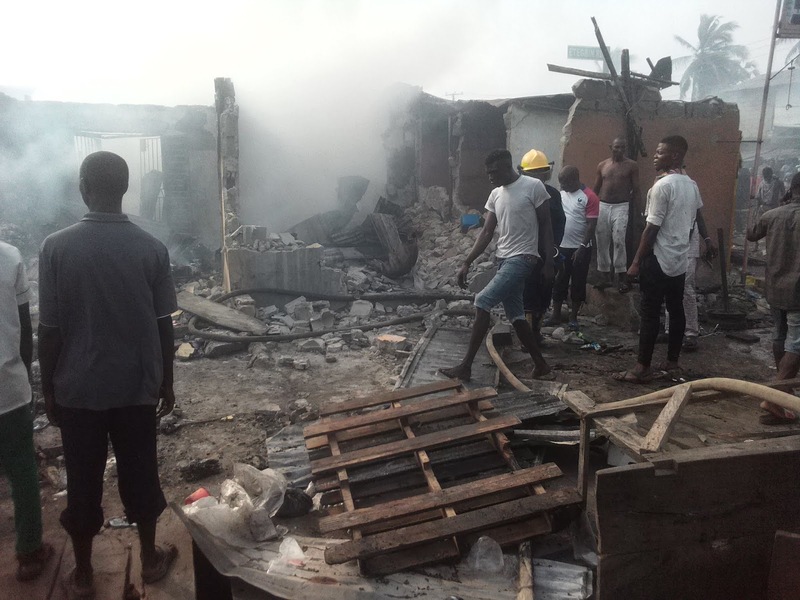 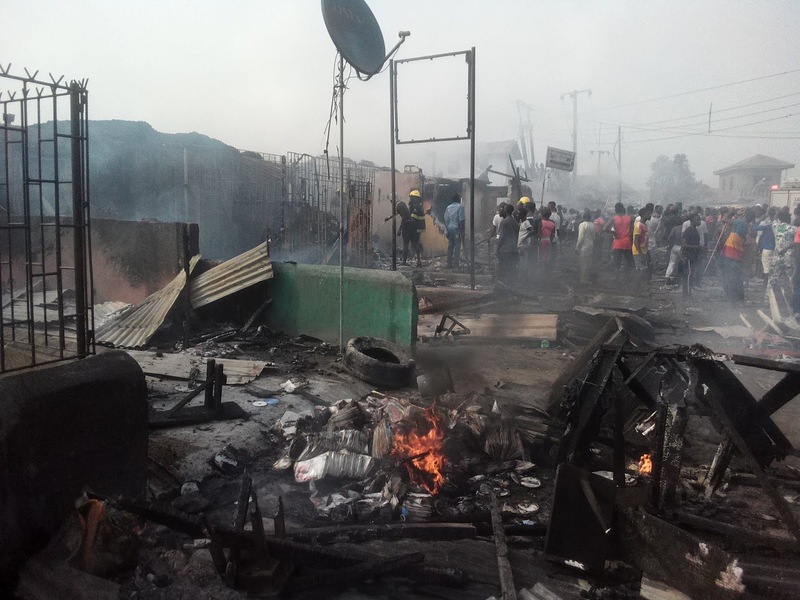 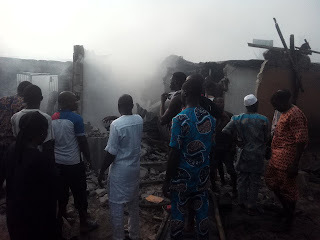 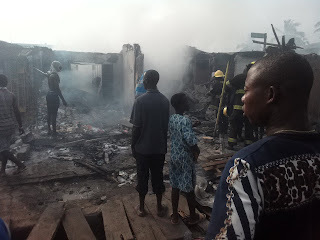 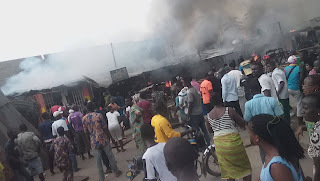 Today, fire burning live at shibiri – Ekunpa, Ojo, Lagos. 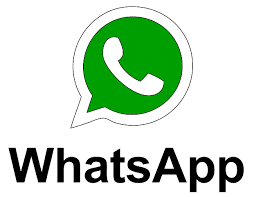 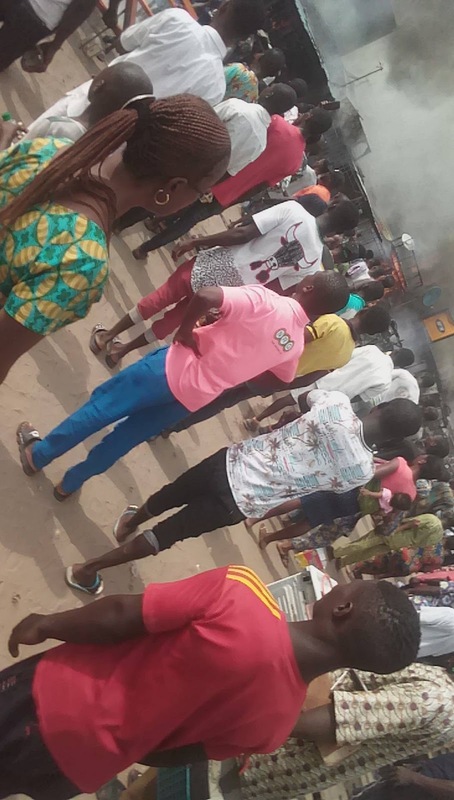 The incident happens at bus stop not near to shibiri market,Unfortunately the incident occur around 3:40pm this afternoon, where as there was a Bet9ja Office and a food vendor company there, so as we all know food vendor always on cooking and they are using Gas and they also on generator, so a boy in the Bet9ja Office want to fuel their generator and he didn’t switch off the generator, so the generator catch fire with Fuel and it also affect the Food vendor who she’s also using Gas and a lot of Gas cylinder is inside the shop. 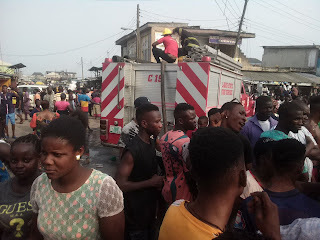 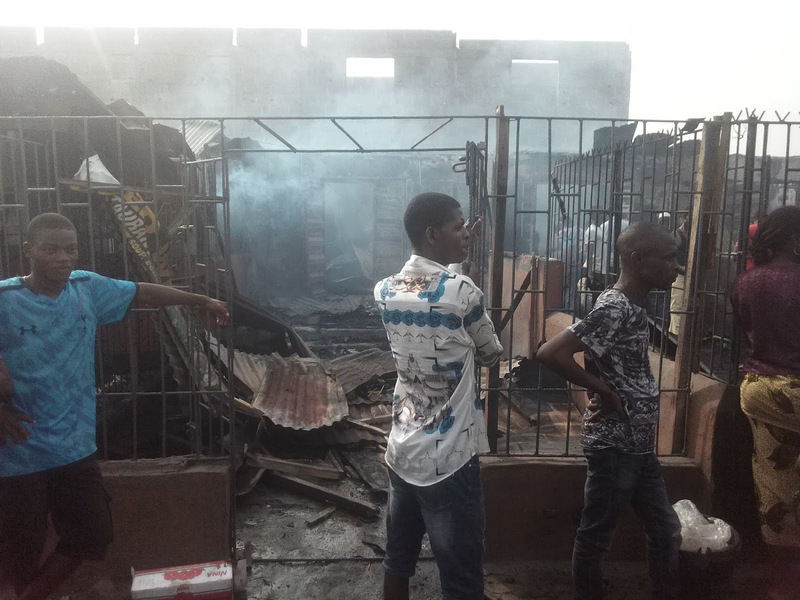 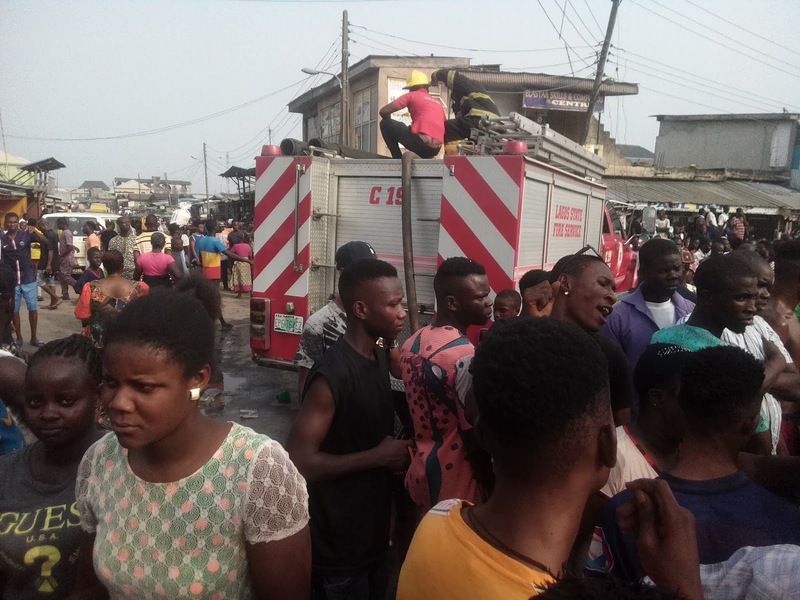 The boy who cause the victim ran inside the Bet9ja Shop then pack some laptops then ran away, the Food vendor shop catch fire immediately then everybody ran for their lives, the C.E.O of the food vendor ran inside and pack her money worth N150,000 but unfortunately she didn’t know who she gave the money. 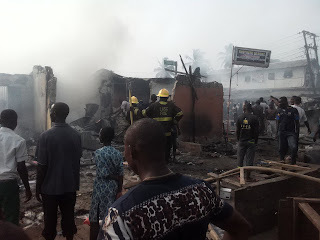 According to Report, The fire service came and quit the fire burning. 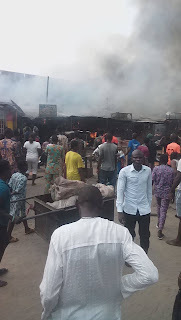 In this incident no body died but 4 people injured, and also all supermarket with Goods beside the two shops burnt without remaining paper in it. 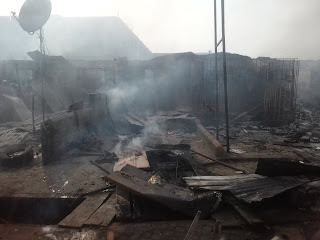 where as some goods are save from others shop. 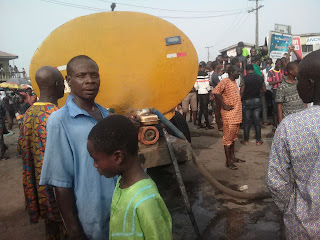 Lesson learn from this Incident, When fueling your Generator try to switch it off, assuming the boy off the generator this might not happen, So be wise.